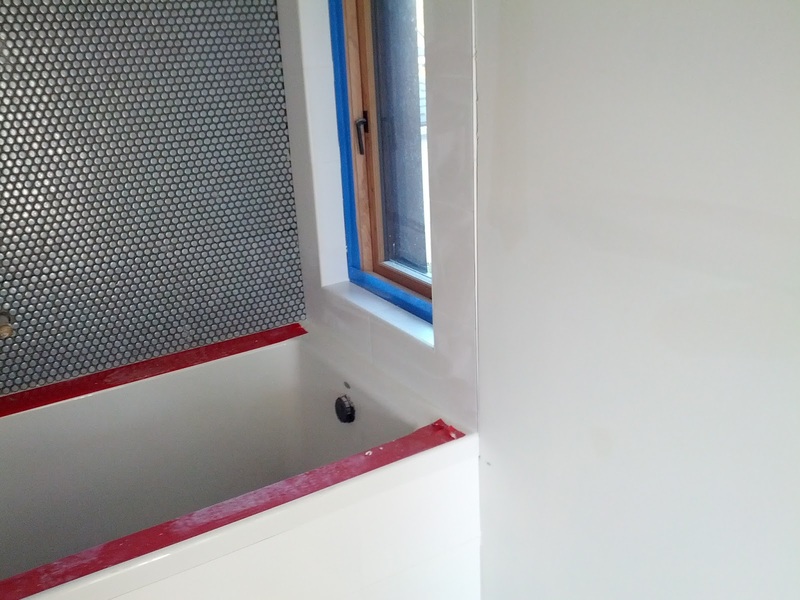 The white tile at the bathtub, grouted. Penny tiles on the back wall still awaiting their turn. Blue tape on the wood window, and red tape on the bath tub is temporary, if that wasn't obvious. A little more drywall compound is required to fine-tune the transition between drywall and the tile edge strip.